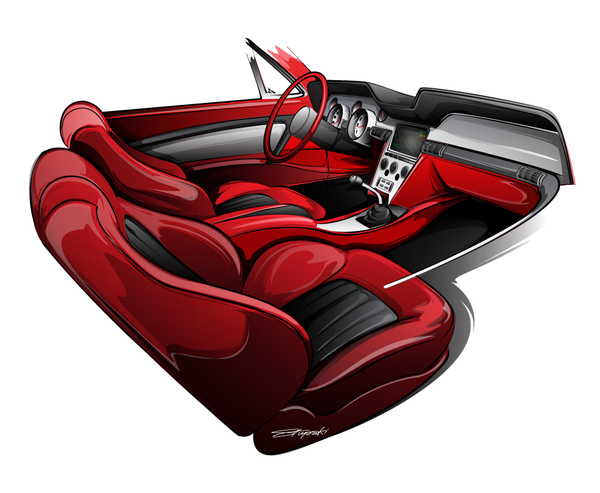 Interior design for a customized Mustang. Re-worked dashboard,console, seats and trim panels. Everything was re-worked to appear modern (the car is a 1967), yet retain the classic feel.Illustrator artwork, starting with pencil sketches on paper.